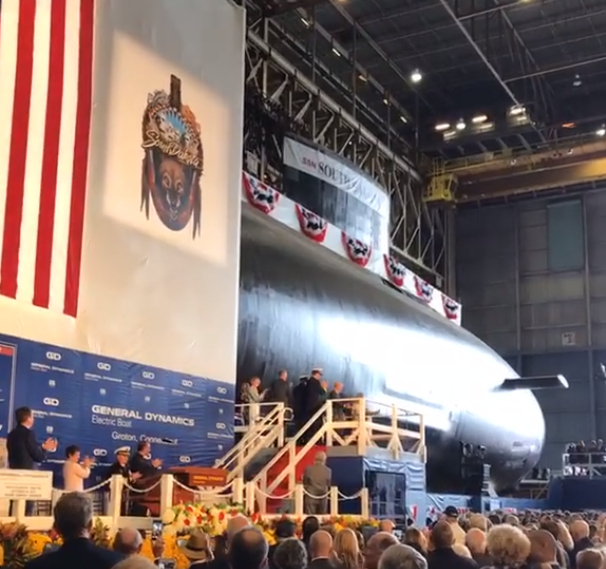 The U.S. Navy christened its newest attack submarine, the future USS South Dakota (SSN-790), during a 10 a.m. EDT ceremony Saturday, October 14, at General Dynamics Electric Boat Shipyard in Groton, Connecticut. 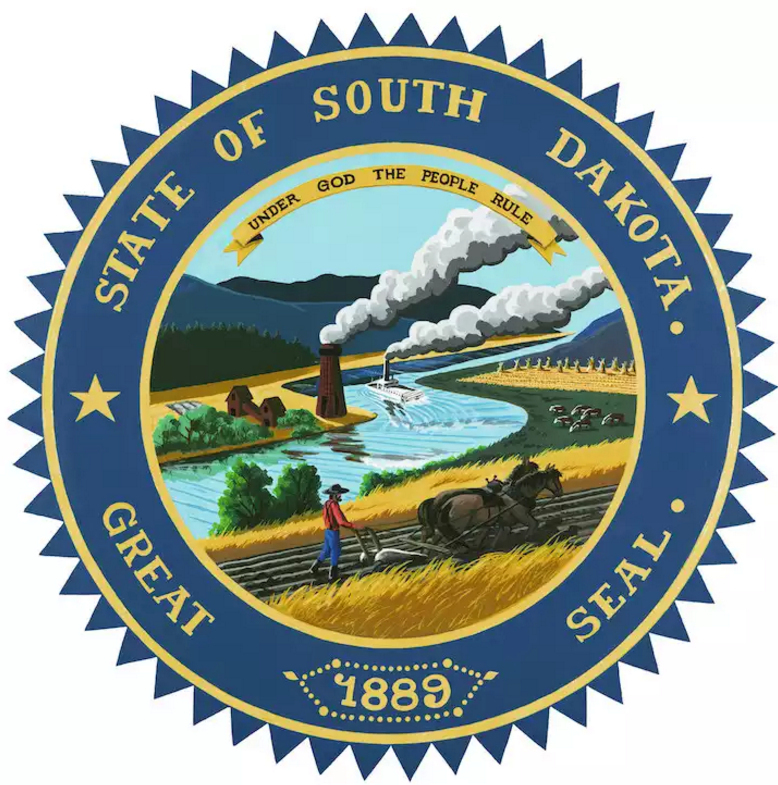 Governor of South Dakota Dennis Daugaard delivered the ceremony’s principal address. The submarine’s sponsor is Mrs. Deanie Dempsey, wife of the 18th Chairman of the Joint Chiefs of Staff, General Martin Dempsey. The ceremony was highlighted by Mrs. Dempsey breaking a bottle of sparkling wine across the bow to formally christen the ship, a time-honored U.S. Navy tradition. 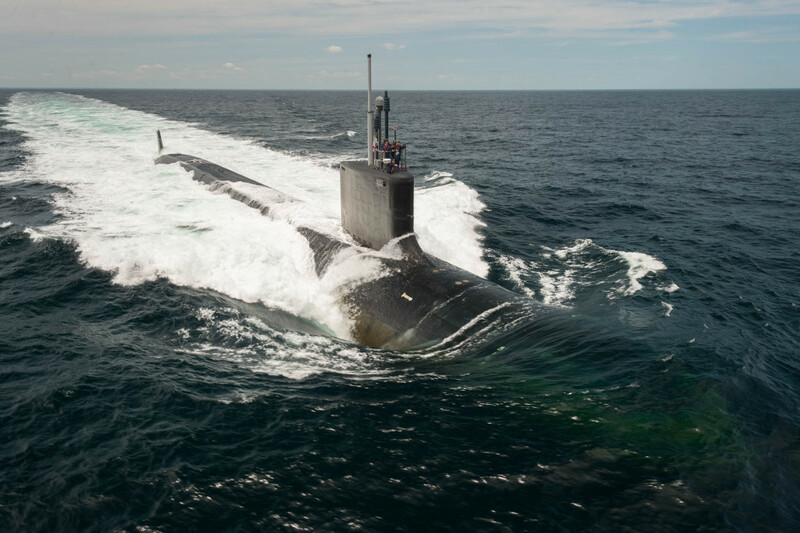 «Today’s christening of South Dakota brings this submarine one step closer to joining our strong fleet», said Secretary of the Navy Richard V. Spencer. 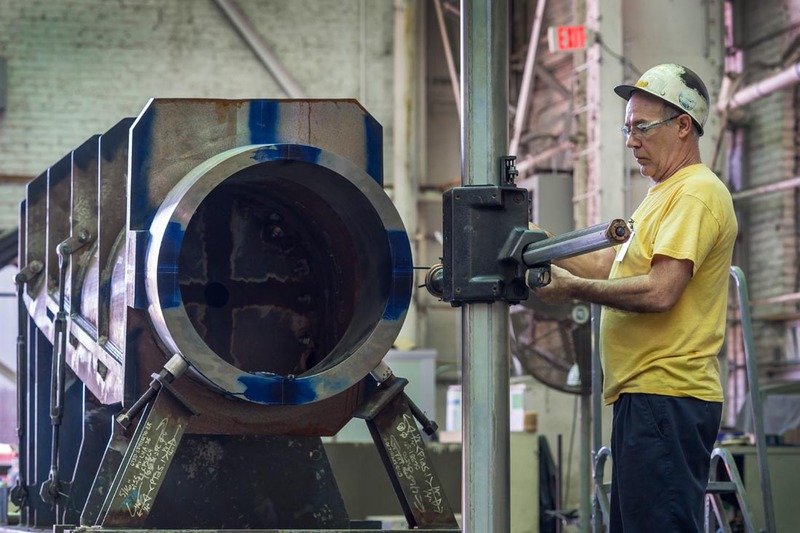 «For decades to come, this boat and the Sailors who will serve on it will stand as a tribute to the patriotic people of South Dakota and a testament to the value of the partnership between the Department of the Navy and our industry teammates». 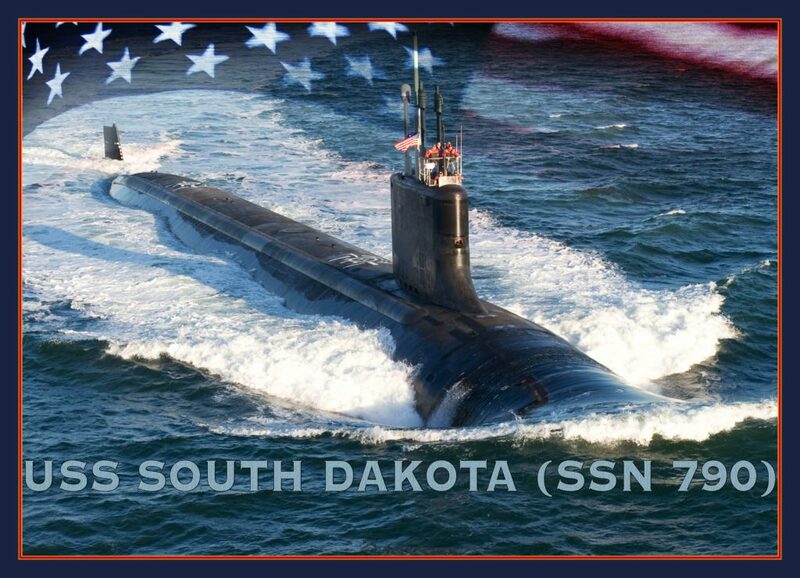 USS South Dakota, a Virginia-class submarine designated SSN-790, is the third ship to bear the state’s name. The second ship was a battleship that stood as the lead ship of her class and earned 13 battle stars during her extensive service in the Pacific theater during World War II. 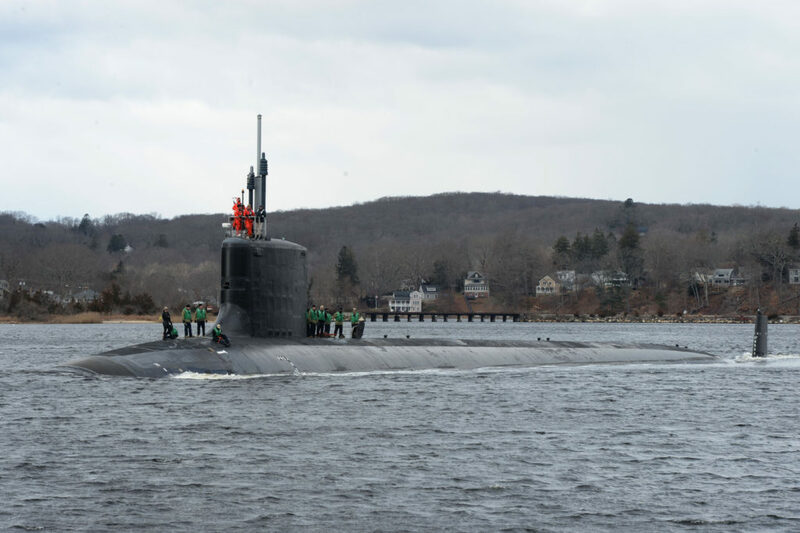 USS South Dakota (SSN-790) is the 17th Virginia-class attack submarine and the seventh Virginia-class Block III submarine. The ship began construction in 2013 and is contracted to deliver in August 2018. USS South Dakota (SSN-790) will provide the U.S. Navy with the capabilities required to maintain the nation’s undersea superiority well into the 21st century. 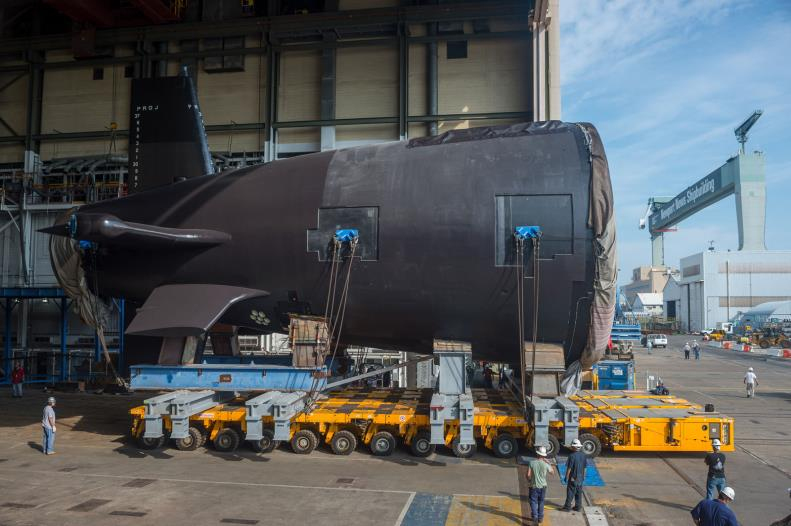 Block III Virginia-class submarines feature a redesigned bow, which replaces 12 individual launch tubes with two large-diameter Virginia Payload Tubes (VPTs), each capable of launching six Tomahawk cruise missiles. 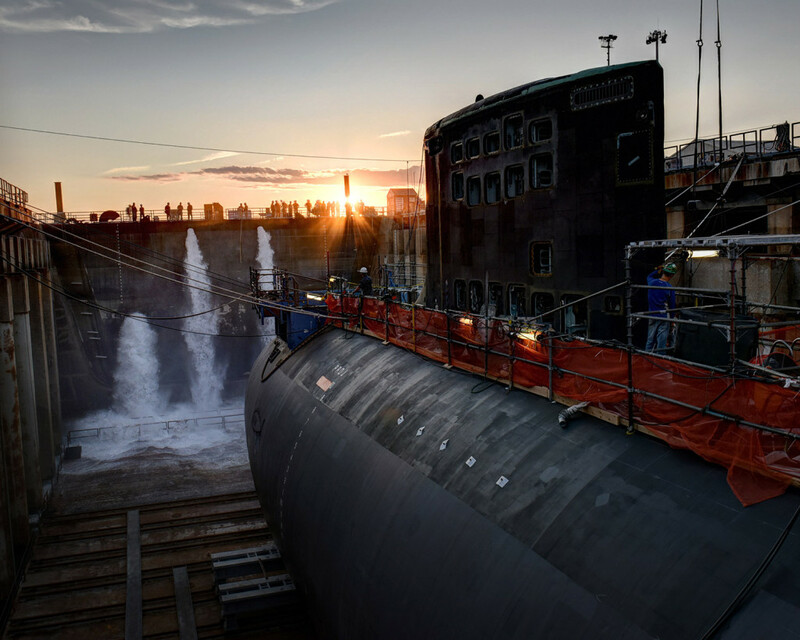 Virginia-class submarines are built to operate in the world’s littoral and deep waters while conducting anti-submarine warfare; anti-surface ship warfare; strike warfare; special operation forces support; intelligence, surveillance and reconnaissance; irregular warfare; and mine warfare missions. Their inherent stealth, endurance, mobility and firepower directly enable them to support five of the six maritime strategy core capabilities – sea control, power projection, forward presence, maritime security and deterrence. 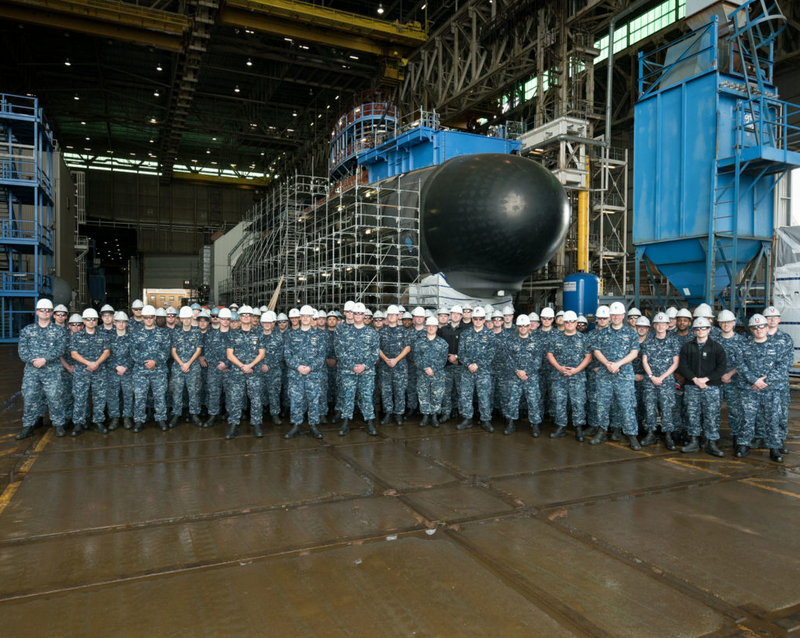 Construction on the new USS South Dakota (SSN-790) submarine kicked off Monday, April 4, with the official keel-laying ceremony. During the keel-laying ceremony, Mrs. Dempsey, the ship’s sponsor, etched her initials into the keel plate, verifying that the «keel has been truly and fairly laid». The submarine will officially be christened in Summer 2017. 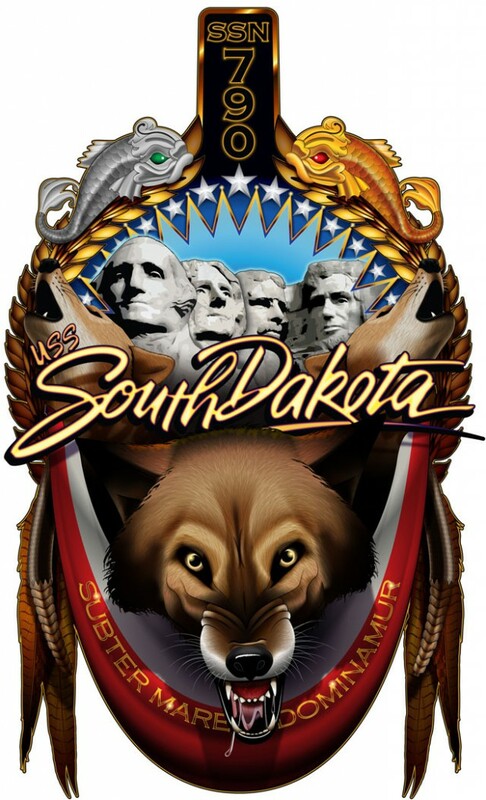 The PCU South Dakota will be commissioned for service and officially become the USS South Dakota (SSN-790) in August 2018. This ship is the seventh of the Block III subs which will feature a revised bow, including some technology from Ohio-class SSGNs. 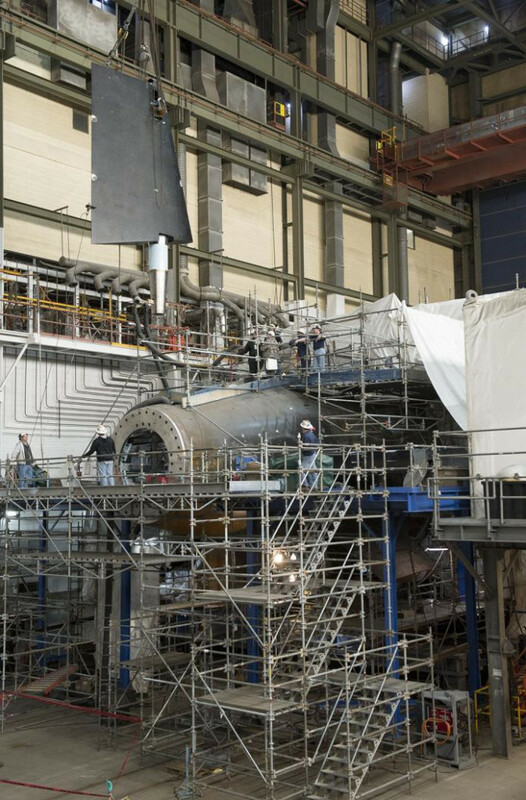 The USS South Dakota (SSN-790), a new submarine named for the famed battleship of World War II, USS South Dakota (BB-57), ceremonially started the building process at the General Dynamics-Electric Boat shipyard in Groton, Conn.
Navy is building an upcoming Virginia-class attack submarine, the future USS South Dakota (SSN-790), with acoustic superiority features: a large vertical array, a special coating and machinery quieting improvements inside the boat. 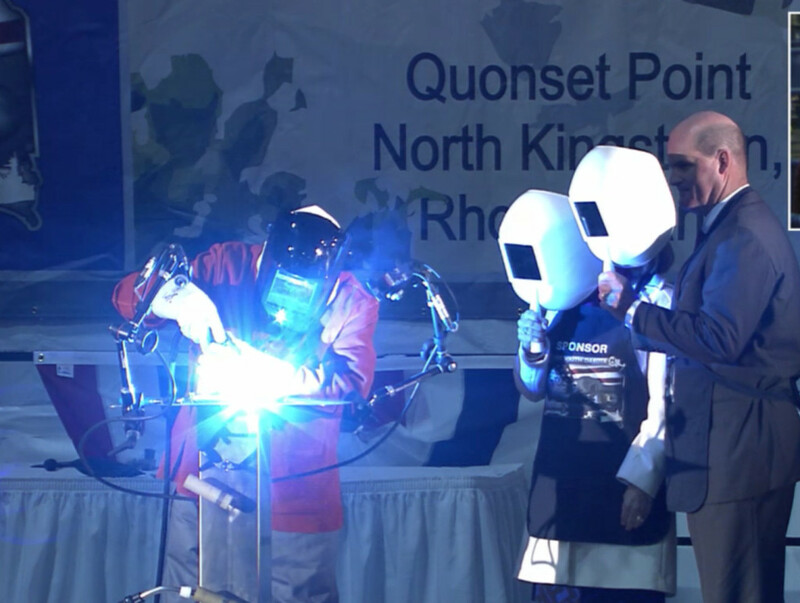 The keel-laying ceremony is a formal event that signifies the start of building a new vessel. 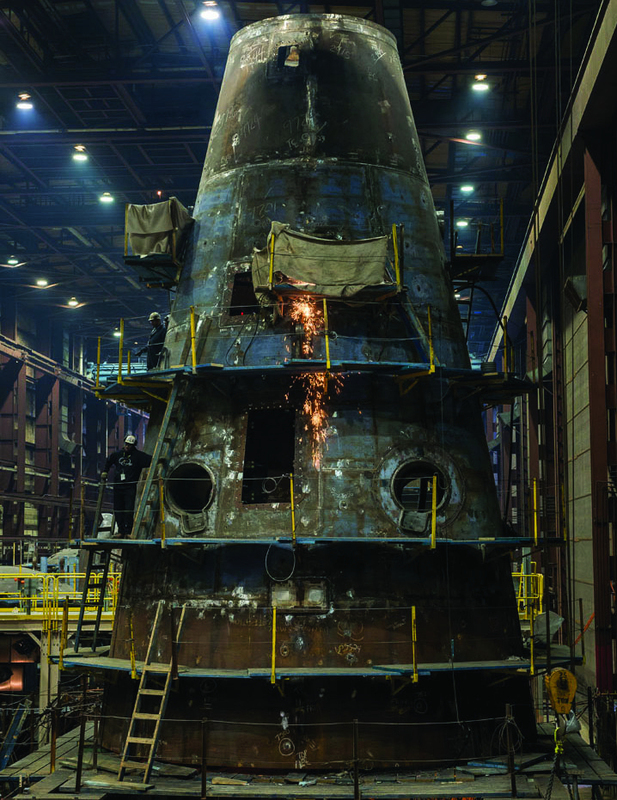 Historically, it marked the time when the keel – or the «backbone» of the ship – was set up so that builders could start putting together the ship from the bottom up.